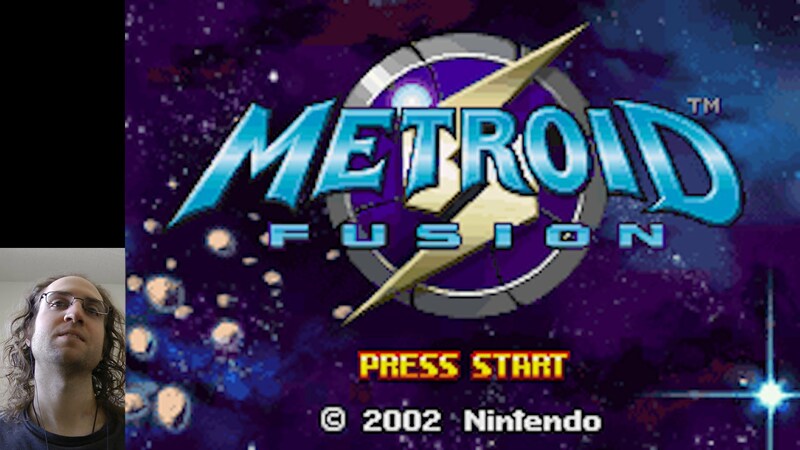 Jay continues his “Let’s Play” of Metroid Fusion. In this episode, he wanders around and fights a hairy baseball bat. 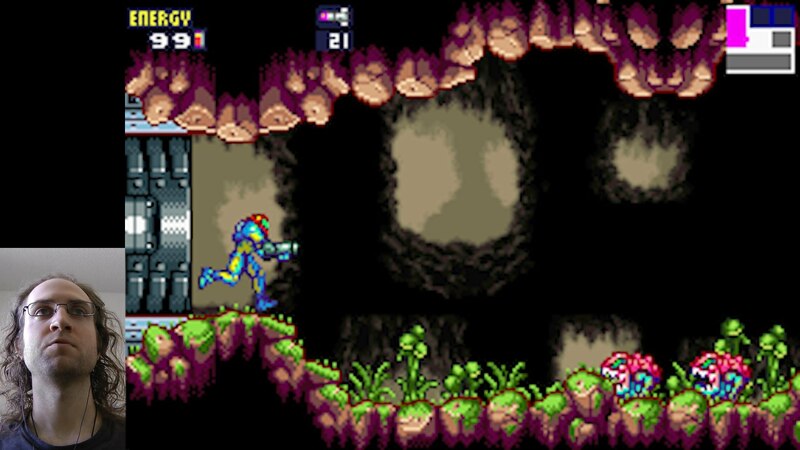 Jay Pavlina plays Metroid Fusion. In this episode, he goes through the intro and defeats the first boss. It’s time for another Let’s Play series. 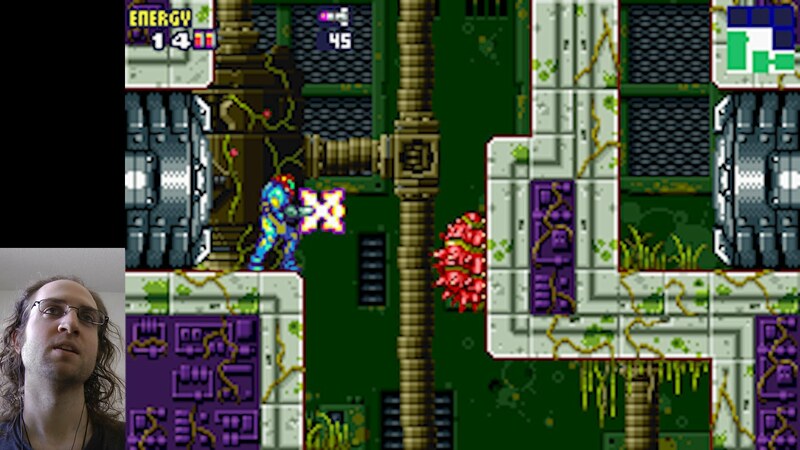 This time, the game is Metroid Fusion. This series was done as a reward for our recent Super Retro Squad Kickstarter. In this first episode, I go through the intro and defeat the first boss. I hope you enjoy it. Super Mario Bros. Crossover 2.1 is released. It features new skins, an improved upgrade system, and faster music emulation. It’s been about 10 months since I’ve released an update for Super Mario Bros. Crossover, but that doesn’t mean it’s dead. Now that I have help, it’s possible to keep this game alive while still working on other projects like Super Retro Squad. This update ended up being bigger than I thought it would. I was planning on just having a few new skins, but I was never quite happy with the upgrade system from the last update, so I revamped it a bit. Adobe also finally released Flascc, so I implemented that and it improved music emulation speed by about 4.5 times. The game still doesn’t run as smoothly as I would like, but optimizing it further would require a huge amount of time and this project is no longer my top priority. A few of the character skins have also been customized to play differently than the original, like Quick Man and Pit. I really like all the new skin sets, but there are also a lot of new character skins. Some of my personal favorites are Quick Man for Bass (fastest walk speed in the game), Old Man for Link, the Super Mario World skins for Mario and Luigi (added extra sprites for them), Shadow for Ryu (awesome music), Pit for Samus (modified to play more like Pit), Whip Skeleton for Simon, and Tetrimono for SOPHIA. I personally never thought I’d be playing Super Mario Bros. as a block from Tetris, but I’m happy to be doing it. Thanks to Blaine (sbq92) and Zach (Ryuza) for their help with the update. Blaine did a huge amount of work on it and it probably never would have come out if it weren’t for him. Having a team makes me happy. As always, I’m sure some new bugs have appeared, so please report them and I’ll be fixing them over the next few days. Anyway, Happy Holidays! Now go play the update or see a full list of changes. 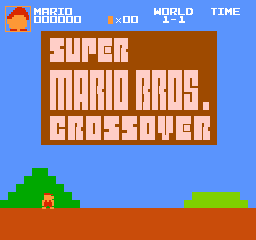 Play Super Mario Bros. Crossover as if it was on Atari. The old version of Super Mario Bros. Crossover was too complicated with its fancy graphics and sound, so we ported it to Atari. Since Atari has less memory than Nintendo, we took out some of the characters. I think you’ll like this new version of SMBC much better. I know I do. Edit: This was an April Fools joke. You can play with the atari skin in the current version of Super Mario Bros. Crossover. Super Mario Bros. Crossover 2.0 is released. Play it now! The day has finally come. Super Mario Bros. Crossover 2.0 is now playable. We’ve been working on this update for over a year, and there are a lot of changes. The two big things added are skinnable graphics and a new power up system. There are about 800 tracks of music in the game now. We also added Luigi and Bass as playable characters, and because of the skinning system, it seems as if there are many more characters. For a full list of changes, see the version history. Although I still did all of the programming, I had some help for this version. Zach Robinson did all of the custom graphics in the game and helped design the skinning system. Him and I are a team now and we’ll be working together on many future games. We also have custom music made by Mathew Valente. He’s been making Super Nintendo versions of the Blaster Master music. He’s not completely done, but you can hear a few of them in the game if you play as 16-bit SOPHIA. I’ll add the rest of the songs as he finishes them. He also made nsf versions of the Mega Man 9 and 10 soundtracks which we use in the game. Sadly, there are a few problems in the game that I can’t do anything about at this current time because of the Flash platform. The music emulation will slow down the game for some people, especially Super Nintendo music. If this is the case for you, you can change the music console in the options menu. Adobe is releasing an update at some unknown time in the future that should address this. As soon as they release it, I’ll update the game. The other small problem is that there is a delay when the game loads at the beginning because it is very heavily compressed. It may appear that the game is not working, but it will continue on after a few seconds. I apologize for that, but there doesn’t appear to be anything that can be done about it at this current time. This is what we get for cramming so much awesomeness into a flash game. I’ve been working on this game for almost 3 years now. When I started, I knew nothing about making games or programming. With all of the experience I got from working on this, I now feel I’m ready to make my own game. Exploding Rabbit will now be shifting focus away from Super Mario Bros. Crossover to work on an original game, which we feel will be awesome. We’ll still update this game a few times a year with more skins, and I’ve mentioned before that we’ll add the Lost Levels in the next update. So we’ll still be updating this game, but it won’t have our full attention like it has in the past. I expect that there will be bugs that were missed by the testers. Please report them in the bugs forum. I’m not going to fix every bug because the game is free and I could spend my whole life doing that, but I’ll be sure to get the important ones. I am very happy this day has finally come. It’s been a lot of hard work, but it’s worth it to see it all come together. We hope you’ll enjoy playing Super Mario Bros. Crossover 2.0. We’re very excited to finally release it, and even more excited to start working on our awesome original game. Exploding Rabbit will entertain you for many years to come! I finally figure out what to do and make my way to the next dungeon, but I don’t enjoy my experience and consider ending the playthrough. 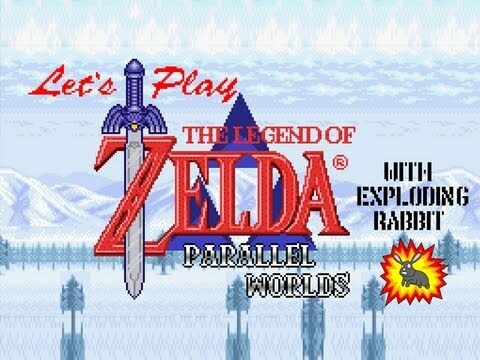 This is part 7 of my playthrough of The Legend of Zelda: Parallel Worlds, a hack of A Link To The Past. In this episode, I finally figure out what to do and make my way to the next dungeon, but I don’t enjoy my experience and consider ending the playthrough. I get frustrated since I can’t find where to go. It turns into a montage instead of a “Let’s Play”. This is part 6 of my playthrough of The Legend of Zelda: Parallel Worlds, a hack of A Link To The Past. In this episode, I get frustrated since I can’t find where to go. It turns into a montage instead of a “Let’s Play”.